Getting the video into a format that can be shared is very important. You want all your hard work to be seen clearly and without stutters and glitches. 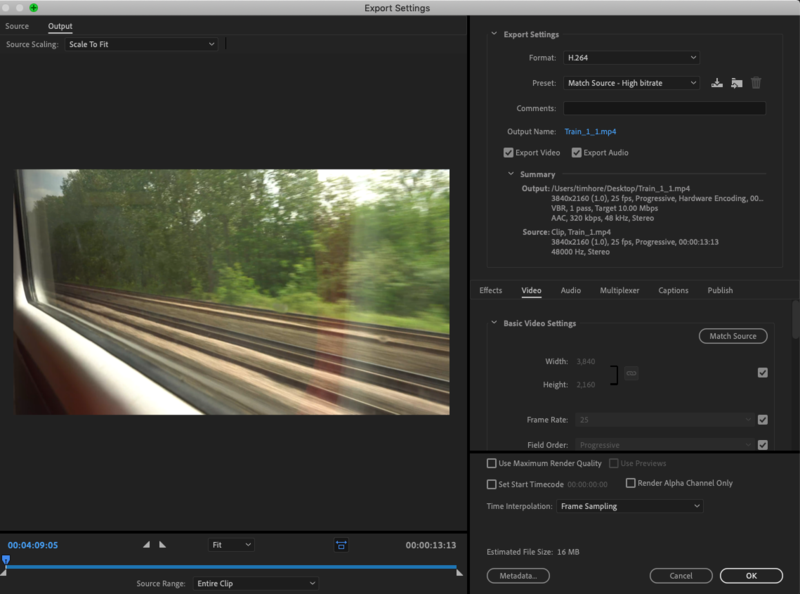 The best file to export is an H.264 MP4 file. This seems to be the best format and plays on PC, Mac, iPad and other tablets. Try different file formats though, as different applications need different file sizes and qualities. There is a range of encoding software products on the market if your editing suite doesn’t support the one you need. Search online for one that suits your needs. The easiest method to get your video shown is via YouTube. This is free to use. You can design your own YouTube channel and have your company logo etc. as the background. 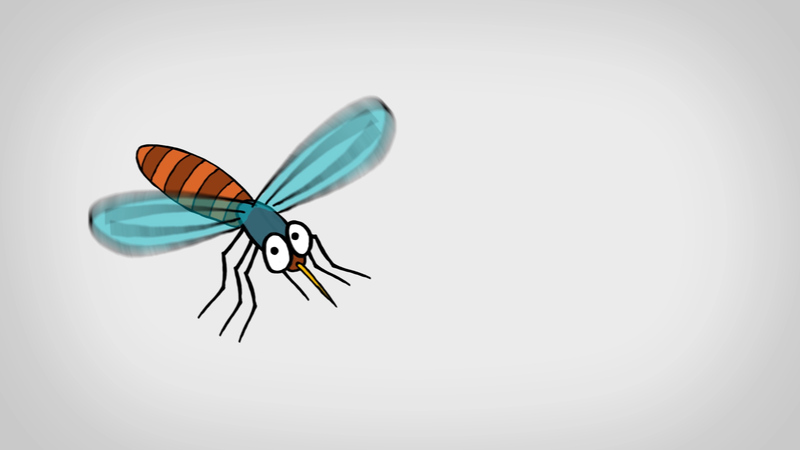 To get the best results you should upload the highest quality version of your video. YouTube has the ability to multiple encode different versions and the clever bit is that it auto detects the bandwidth of your internet connection and then plays the appropriate file. You can override this option as well. Websites have never been easier to upload videos to. You will need your web developers to advise on your particular site, but as long as the site is designed in HTML you should be able to share the code from YouTube and then import this direct into your site. This means there are no video hosting costs to deal with and the video should play on your page. Our site looks like this www.tympani.co.uk HTML should allow you to adjust the size of the video window and even the position of the window on the page. YouTube also helps with SEO. YouTube is the second largest search engine and having a video loaded on there with appropriate tags added really does help with SEO. Facebook, LinkedIn and Vimeo are just a few examples of where you can host your video. Once there all you need to do is share the link to your audience. Then sit back and wait for the call for the next one! Lay out the video in a paper document in the order you expect it to run. The best way to do this is to create a document in table form with 2 columns and multiple rows. This will allow you to use one column for the narrative content i.e. what is going to be said, and the second column contains details on the visual content i.e. what it is to be filmed. Use a separate row for each set up. This will allow you to cut and paste the document around easily as the project develops. We’ve never worked with a script yet that has remained in the same order throughout so having the script in table form is a great tip. To start with this can be very rough to get the flow, with detail being added once the skeleton is formed. The film should have a beginning, middle and end with each section required to deliver a separate part of the message. Avoid jumping around too much as this can confuse the message. Don’t worry about the precise order too much to start with, just write it all down. You can move things around later, but be sure to finalise the order as far as you can before you shoot. This ensures you film the right bits and in the right quantities so you don’t waste time filming loads of material that has little chance of ending up in the final film. Circulate this document with your stakeholders and absorb their comments. If necessary obtain their sign off that the document is a fair reflection of what the content is to be. It’s a common situation for people to forget what they’ve asked for along the way, so having sign off avoids awkward conversations later. If you’re including interviews in your film then think about what you want the interviewee to say and design a list of short questions that draw out the right points. Interviews are a great way to hear the story straight from the horse’s mouth and if you’re filming your company it allows the faces of the organisation to be seen. It’s common practice for the interviewer not to be seen or heard in the final video. If the duration is only 3 minutes, why waste screen time with questions? Ensure the questions are short, that they can’t be answered with Yes or No and that each question tackles just one point. It’s a great idea to get the interviewee to recap some of the question in the answer. This puts it in context. For example if you were to ask “what is the weather like today” they should reply “the weather is very sunny today” rather than “it’s sunny”. Try to avoid them saying things like “as I said earlier” or list items with numbers. You may not use the previous items. It’s common to interview each person for 10 to 15 minutes. This requires editing later, but in our experience this length of interview allows short soundbites to be extracted from separate answers and joined together. Video is a powerful business communication tool. YouTube is now the second largest search engine on the planet, and with social media utilising the power of video there has never been an easier way to show off your products or services, or deliver important messages across your organisation. If you are using video and shooting yourself, are your videos turning out the way you expect them to be? Are you able to shoot and edit the right material allowing you to use the video as you intended? Are you able to show your customers the true face of your company and reflect your company values? If you’re not already using video as a sales, marketing, training or general communication tool then you could be losing out. Camera and editing equipment has become more affordable over recent years. It is now possible to film on a domestic grade camera and edit using a standard laptop computer, and have the same flexibility that complex edit suites used to have just a few years ago. We’ve created a guide to take you through the key steps and highlight how a professional video production company would approach the project. The aim is to help you avoid some of the main traps that people often fall into, and if you follow what we suggest then you will achieve better results. A professional video company will always create better results than home produced material, but there are many applications where home produced material is adequate. Just like most things, the key to a successful project is being organised and well planned. Having a proper plan allows for deviations to take place on the day, but being organised ensures you keep the final video in mind at all times. Video production can be a complex process and without the proper planning and execution may yield poor results, which not only use up a lot of your time, but also may have the opposite effect of what you are trying to create. You must establish what and where you are to film, and what the messaging will be. What do you want the viewers to do once they have viewed the video, and what is the assumed knowledge of the viewer to start with. All of this has a bearing on how the video is created. 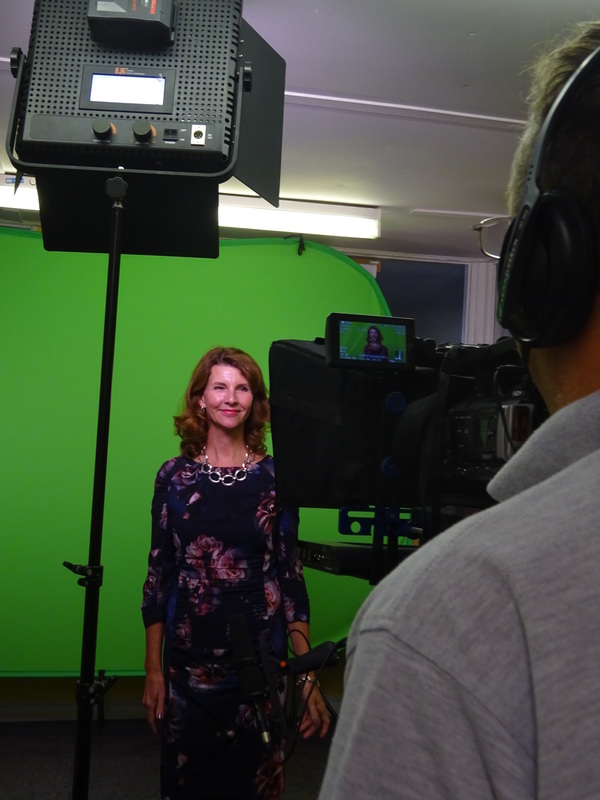 If you opt for an in vision presenter you should choose carefully who is to appear in front of the camera. Presenting to camera is a good way to get lots of information across but is a hard skill to acquire. An alternative is the interview technique. Here the on screen interviewee answers questions which are best asked by an interviewer sitting by the side of the camera. 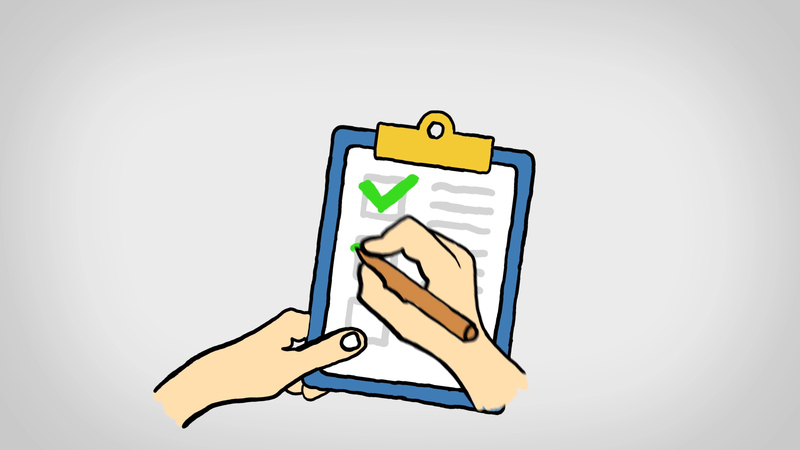 If you choose this option ensure one question tackles just one point as there will be no interaction between the interviewer and interviewee. You should also consider where the video is going to be used. For example if it’s mainly for an office reception or exhibition playback, then it’s likely that the sound will be turned down. In this case you must plan to ensure the message is still relayed some other way. This could be floating captions and other graphics. If the video is going to be seen by individuals online via your website, social media or YouTube, or in presentations, then the narrative can be shared by voice. You must think about how and where all the filming is to be done. You should think of the practicalities of the filming and whether any special permissions or authorisations are needed to allow you to film. In some circumstances it’s a good idea to get participants to sign a release form stating they are happy for their material to be used. Filming on the street often calls for Police permissions to be granted and some councils demand an extra payment. So check out the implications of where you want to film. During the planning phase, face to face meetings with interested parties are vital. This allows the goals to be set, and expectations managed. It’s vital that everyone who is involved in the process understands their involvement and what is expected of them. This is a big consideration for the whole project. The internet has changed the way that videos are viewed. In days gone by, it was common for a corporate video to be 15 minutes or longer, taking the viewer on a journey through the company and delivering a large amount of content. Now the viewers don’t often stay to watch anything much over 3 minutes and if the video doesn’t grab their attention straight away people switch off. It’s better to create several short videos and allow the viewer to browse and choose what they want to watch. You should plan your video accordingly. 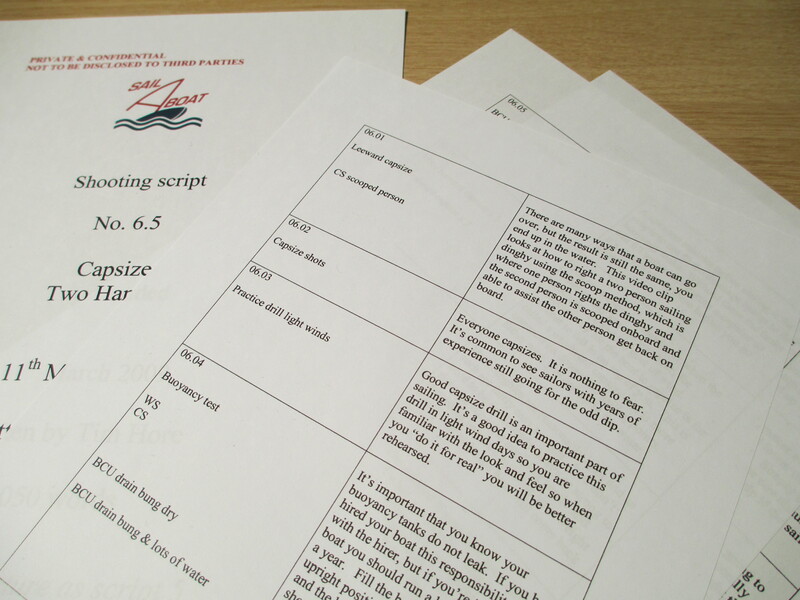 From a scripting point of view 3 minutes is about 600 words or so. As this is such a low number it’s vital that every word counts and there is no waffle or repetition. Sounds like a cry from the succession of a new monarch but traditional video as we know it is in decline, possibly dying, and the new “king” is in succession. The attention span of viewers is becoming shorter and the amount of content bombarding corporate executives is growing. This makes people time poor, whist remaining hungry for new ways to absorb information in a better way. Video is a perfect fit for many people who prefer to watch their content rather than read. Changes in viewer expectation, mostly spurred on through social media, is lowering the expected standard in many situations. People are now expecting their professional environment to match what they accept at home. The market space for traditional “corporate” videos is becoming stagnant. There will always be a need for professional support to create quality content that is high in production value created by experienced professionals. However, this style of video is being overtaken by the need for much more content that is a bit rough around the edges, but cheap and easy to do. There is a growing need for disposable video with a shorter shelf life and much smaller more targeted viewing audience. One way to meet this change is for people to film themselves and accept a lower overall production quality. In the same way that budget airlines and Uber have affected customer habits for transportation, the explosion of social media and YouTube is now also having an impact right across the corporate video production industry, changing the perception of what is “good” to watch. This change is also having a direct impact on the television industry which has been largely unchanged for many years. Who would have thought that Amazon would become a major global player in television production and delivery, well that time is coming fast and is the future of broadcasting. I fear the future is bleak for traditional broadcast organisations unless they make wholesale changes and fast. The new broadcasters are fast to adapt to changes in viewer expectation and respond to what they want in a format they want to receive it in. The broadcasters are not adapting quickly enough, preferring to give us endless variations on legacy formats and programme ideas that have been the same for many years. People are becoming bored with this and switching to alternative forms of entertainment. All of this has had a direct impact on what companies are prepared to spend on their video content. The current “just in time” mentality means that advanced planning utilising external resources is deemed a luxury. The expectation is to film something today and then make up the story later. 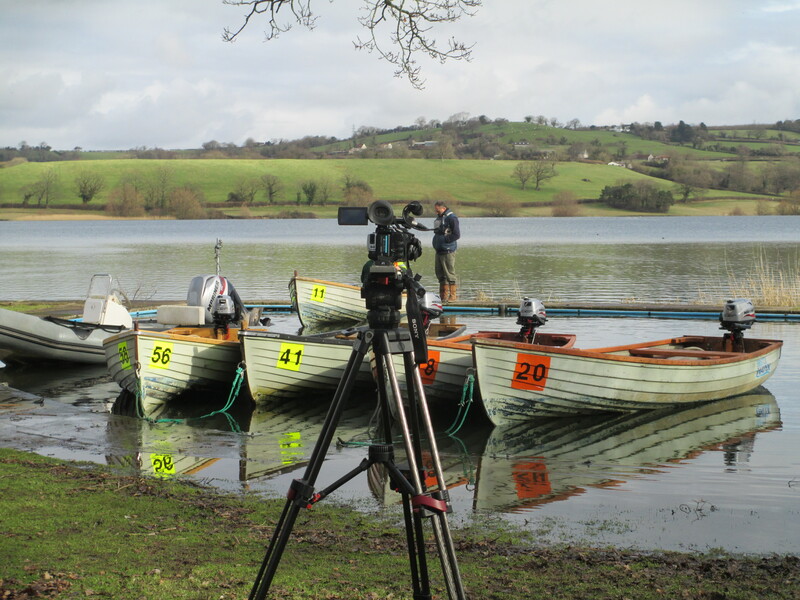 Consequently the employment of external film crews is becoming less common with companies having a go themselves on whatever equipment they have to hand. It is now possible to capture high quality images from basic equipment that was not possible even a few years ago. Whether the industry likes it or not, changing technology makes it possible to record good quality images and video on mobile phones. The quality of video cameras is also set to improve with a lowering price point making this a viable proposition to many more people. Companies are using video more, but they use it differently, gathering footage themselves with little or no understanding of the basics or knowing where to begin. So where does that leave the corporate production industry in the future? Well, in short, they need to adapt to the changing market and provide companies with what they need. By helping companies to shoot footage themselves and guide them on the editing process they can remain relevant and viable. Simply just supplying the same services is no longer acceptable to a technology savvy client, they have to offer and do more to suit the changing expectation. 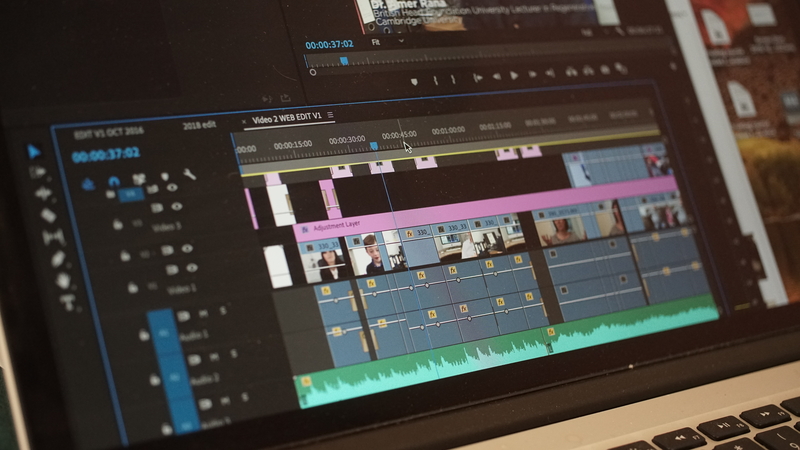 The good news for the industry is that editing and post production are likely to remain as sought after skills. Pointing a camera for simple things is perceived as relatively easy to do, but editing remains a time consuming and fiddly process. Editing is a blend of understanding production values and combining this with keyboard skills around the software. By working with supplied content a good editor can correct pretty much anything thrown their way, be this colour grading, framing, adjusting and balancing the audio, blending in music and captions and so on. The production values that are applied to high end productions are still relevant to even the lowest cost project. The trick for the industry is to give the customer what they need and with a fast turnaround and at the right price point. The customer then take the benefit from the immediate filming requests they receive knowing that they can be supported in the back end with professional editing. This will allow the customer to focus on their day job which is more than likely to be more complex with more time pressure than ever before. Taking the time to edit doesn’t fit their diary but half an hour to film the CEO does. Through providing correct training and support, the industry that I have been part of for decades can remain relevant and help clients to do more but with less money. So the future is bright for the video industry. It might not be in the way that we all used to work, but if we are to survive we need to learn and adapt to the new ways of corporate thinking…. Long live video! Tympani has been working with many global organisations since 2001 as well as with healthcare trusts and educational establishments. 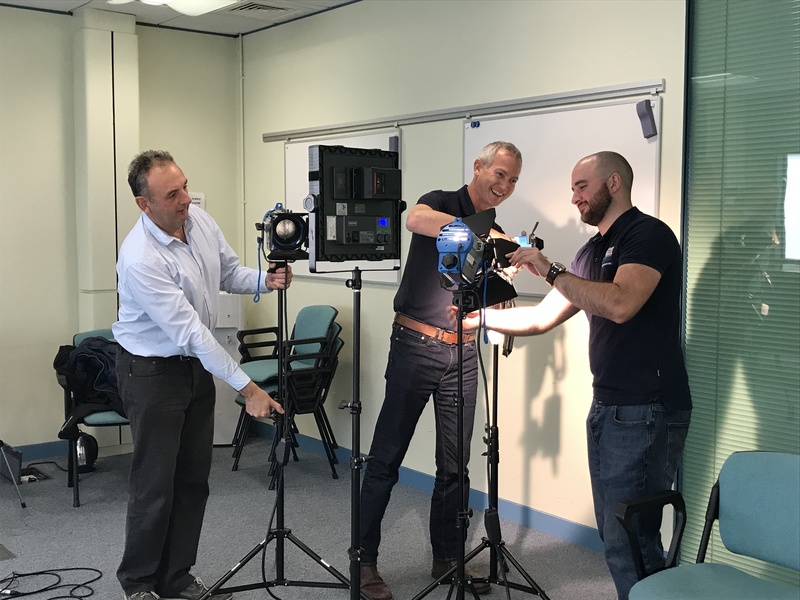 Based on backgrounds in broadcast television and a desire to help people to learn new skills, we help companies with face to face training using phones to film and basic edit steps to create short talking head type recordings.